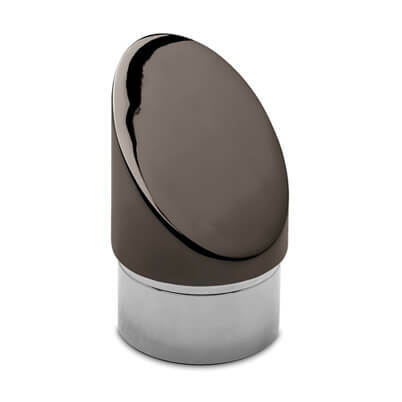 End cap with 45 degree angle design in a PVD coating to give a very dark grey (near-black) finish, for 38.1mm Ø tube. Simple to install, just glue and slide in to position for the perfect finishing touch. Requires fixing with a high strength Adhesive. 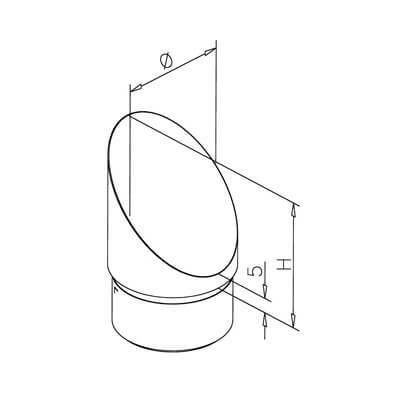 Angle end cap for insertion into open end 38.1mm (1.5 inch) diameter bar railing tube. Manufactured from Zamak with a PVD coating to give a hard-wearing anthracite finish. 3. Push fit end cap firmly into tube end. 4. Wipe away any excess adhesive and allow to set thoroughly before use. Tube with Anthracite Finish high quality tube for bar railing fittings. Tube Connectors and Elbows for bar railing.